Vande Bharat Express, earlier known as Train 18, is India's first engineless train and will be flagged off by Prime Minister Narendra Modi on Friday. The Congress called the video "Mr Ghotala's lies"
A day after roasting Railway Minister Piyush Goyal for posting a video of India's fastest train, which the Congress says is in fast forward mode, the party today scaled up its attack and posted two videos of the same train side-by-side on its Instagram page. 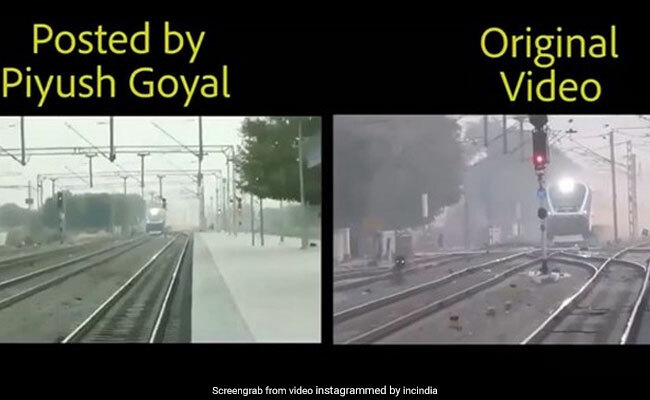 The left side of the screen showed the video posted by Mr Goyal yesterday in which the Vande Bharat Express, formerly known as Train 18, can be seen zooming by a platform. On the right side, the video, claimed by Congress as the original, the train can be seen approaching at a considerably slower pace. 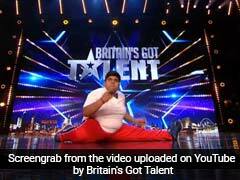 Mr Goyal had posted the video of the train on his Twitter page, using a reference to the opening sequence of the Superman TV show from the 1950s to make a point about its speed. Vande Bharat Express is India's first engineless train and will be flagged off by Prime Minister Narendra Modi on Friday. The train had recently hit speeds of over 180 kmph during a trial run on a section of the Delhi-Rajdhani route. The country's first indigenous, semi-high speed train was built at the Integrated Coach Factory in Chennai in a span of 18 months. The 16-coach train will replace the 30-year-old Shatabdi Express and will run between Delhi and Varanasi, which is PM Modi's Lok Sabha constituency. The fares of Vande Bharat Express are likely to be 40 per cent higher than the Shatabdi Express, according to reports. It also becomes the first train where passengers cannot opt out of catering service, unlike other premium trains like Shatabdi and Rajdhani.